Lucy Somerville Howorth was born on 1 July 1895 in Greenville, Mississippi, the youngest of four children of Robert Somerville and Nellie Nugent Somerville, the first woman elected to the Mississippi legislature. “Judge Lucy,” as she came to be known, participated in some of the most important historical movements of the twentieth century. Appropriately for a life devoted to social justice and the rights of women, Lucy Somerville’s first political cause was the suffrage movement. Nellie Somerville was an officer in both the state and the national suffrage movements and took her infant daughter to meetings. Lucy sorted pamphlets by color at her mother’s knee and later served as a page at suffrage meetings. As a freshman at Randolph-Macon Woman’s College (now Randolph College) in Virginia, she organized an Equal Rights Club. On 26 August 1920 she sat in the gallery and watched as the Tennessee legislature ratified the Nineteenth Amendment, giving women the vote. After graduating from Randolph-Macon in 1916, Somerville went to New York City to study at Columbia University. She also worked at an aircraft factory during World War I and later conducted industrial research for the Young Women’s Christian Association. Convinced that her calling was the law, Somerville went home to Mississippi and enrolled in the University of Mississippi School of Law in Oxford. She was active in campus life, including helping found the Marionettes, a drama club that included William Faulkner. She graduated at the top of the Class of 1922, delivering the commencement address, “Intellectual Integrity and College Education.” The speech was covered by the newspapers and incurred the lasting wrath of the college president, whom she took to task for banning the teaching of Darwin’s theory of evolution. For the next four years she practiced law with a Cleveland, Mississippi, firm operated by her brother-in-law, Audley Shands, and worked with other community leaders to establish Delta State Teachers’ College. She continued her work in women’s organizations, serving on the national board of the Young Women’s Christian Association and speaking throughout the state at high school and vocational conferences to urge young women to consider the legal profession. In 1926 she moved to Greenville and established her own law practice. During the Great Mississippi River Flood of 1927, she volunteered with the Red Cross and navigated the streets of Greenville in a boat for five months. The same year she was appointed US commissioner of the Southern District of Mississippi, earning herself the title Judge. Her 1928 marriage to another young lawyer, Joseph Howorth, precipitated her move to Jackson, where the pair established the firm of Howorth and Howorth. Three years later she was elected to the state legislature from Hinds County. With her as chair, the Public Lands Committee wrote legislation creating the state parks system and establishing a board to regulate drilling for gas and oil on state-owned land. In an amendment to a bill establishing the Game and Fish Commission, Howorth proposed that people be allowed to raise and sell game and fish on their property. Though some observers ridiculed the amendment, she lived to see the Delta become the nation’s catfish capital. Howorth’s outstanding record and her support of Franklin Roosevelt at the 1932 Democratic National Convention led to a 1934 presidential appointment to the Board of Appeals of the Veterans Administration. She and her husband moved to Washington and spent the next twenty-five years in public service. 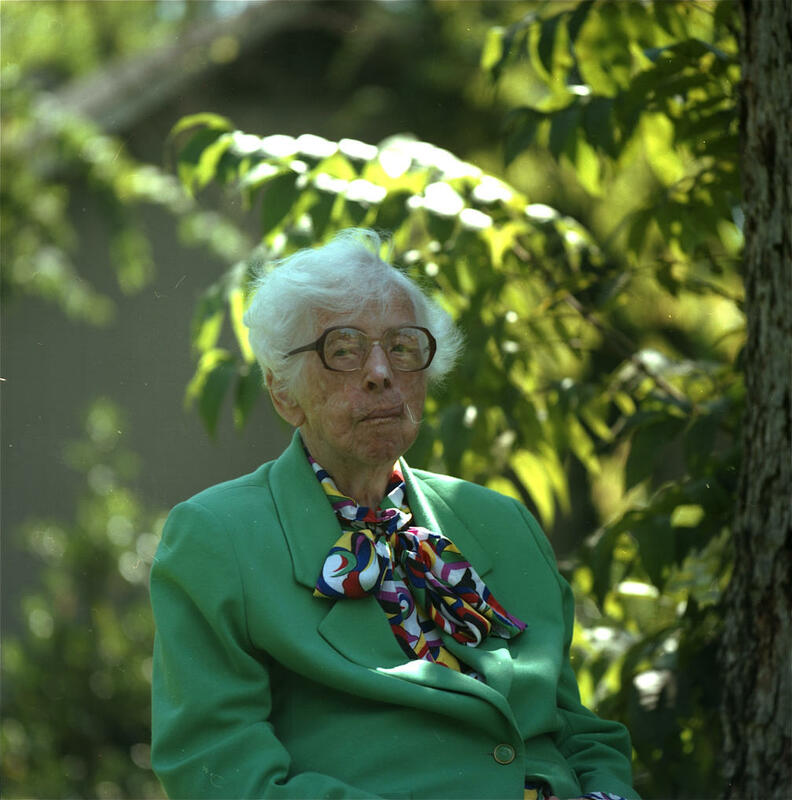 During World War II she coordinated the volunteer work of the Veterans Administration. Howorth ultimately became general counsel of the War Claims Commission, the first woman to hold the top legal post in a federal agency. A firm believer in the power of organizations to bring about change, Howorth worked steadily for women’s rights through a network of New Deal women and through groups such as the American Association of University Women and the Business and Professional Women’s Club. Widely known as a public speaker, she gave the keynote address at Eleanor Roosevelt’s 1944 White House Conference on Women in Post-War Policy Making. Lucy and Joe Howorth retired to Cleveland, Mississippi, where Joe painted and taught art classes and Lucy edited a collection of her grandfather’s Civil War letters, served as chair of the Cleveland Library Commission, and traveled. Her honors included a Lifetime Achievement Award from Radcliffe College and outstanding alumni awards from Randolph-Macon and the University of Mississippi. Somerville and Howorth Family Papers, Schlesinger Library, Radcliffe Institute, Harvard University, Cambridge, Mass.